Penn became CEO in March. Today, ad agency network MDC Partners reported a net loss of $18.2 million for the quarter ending on Sept. 30. The $18.2 million net loss over the quarter compares to a net income of $14.1 million over the same period in 2017. 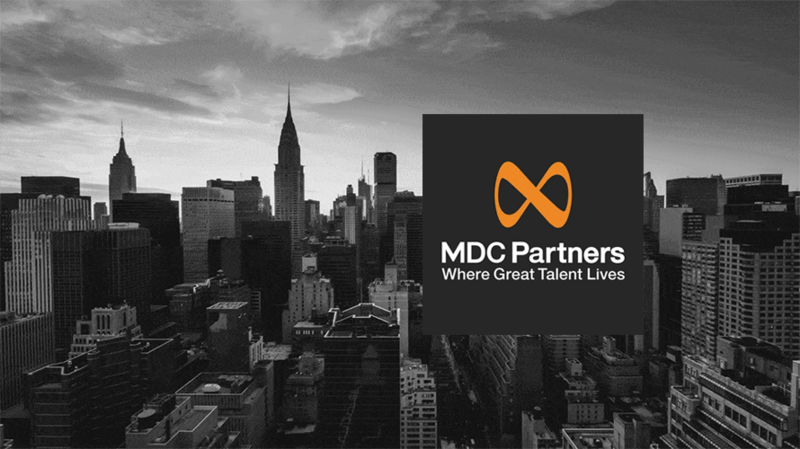 MDC Partners attributed the net loss primarily to an asset impairment charge of $21 million. Diluted loss per share for the quarter was $0.32, compared to $0.24 over the third quarter in 2017. Revenue for the quarter was flat compared to the same period last year at $375.8 million, which MDC Partners claimed was due to the ASC 606 accounting rule change. Excluding the impact of the change, MDC Partners said, revenue increased 2.2 percent to $384 million. Organic revenue was up 1.5 percent and net new business wins totaled $12.7 million. "Our results are driven by the actions we are taking to optimize our cost structure and improve financial performance by selectively investing behind our world-class talent." Revenue for the first nine months of 2018 was $1.08 billion, compared to $1.11 billion for that period in 2017, which MDC Partners again attributed to the ASC 606 accounting rule change. It claims the ASC 606 adjustment was attributable for reducing revenue 3.5 percent, or $39.2 million. MDC Partners reported organic revenue growth of 0.2 percent for the first nine months of the year. In a statement, chief financial officer David Doft said that the company “delivered a strong quarter,” citing its organic revenue growth and adjusted earnings before interest, taxes, depreciation and amortization. “Our results are driven by the actions we are taking to optimize our cost structure and improve financial performance by selectively investing behind our world-class talent, while focusing on our strategic offering in high-priority growth areas. We continue to see strong demand for our agencies’ services in the marketplace,” he added. Last month, MDC Partners CEO Scott Kauffman announced he was stepping down as chairman and CEO, with the board of directors beginning a search for his successor. The network is also in the midst of a review to better determine its financial stability. Sources close to the business claim multiple agencies have discussed the possibility of buying themselves back from their parent company, only to determine that the process may prove prohibitively expensive at this time. An MDC Partners representative has yet to respond to a request for comment on the matter. In July, CMO Bob Kantor and other corporate executives also left MDC Partners, which promoted Ryan Linder from within to the top marketing role earlier this month.